It’s about time I write about a brand that I’ve either stocked or enjoyed since my beginnings within the drinks industry – Chambord. A name that nearly everyone has probably heard of, or indeed enjoyed maybe without realising – it’s the classic choice when it comes to a Kir Royale or French Martini. But how did this name come about, and indeed be the stalwart within these classics? The story begins with a legend. It is said that in 1685, King Louis XIV visited Château Chambord and ‘enjoyed a marvellous liqueur made from wild raspberries’. 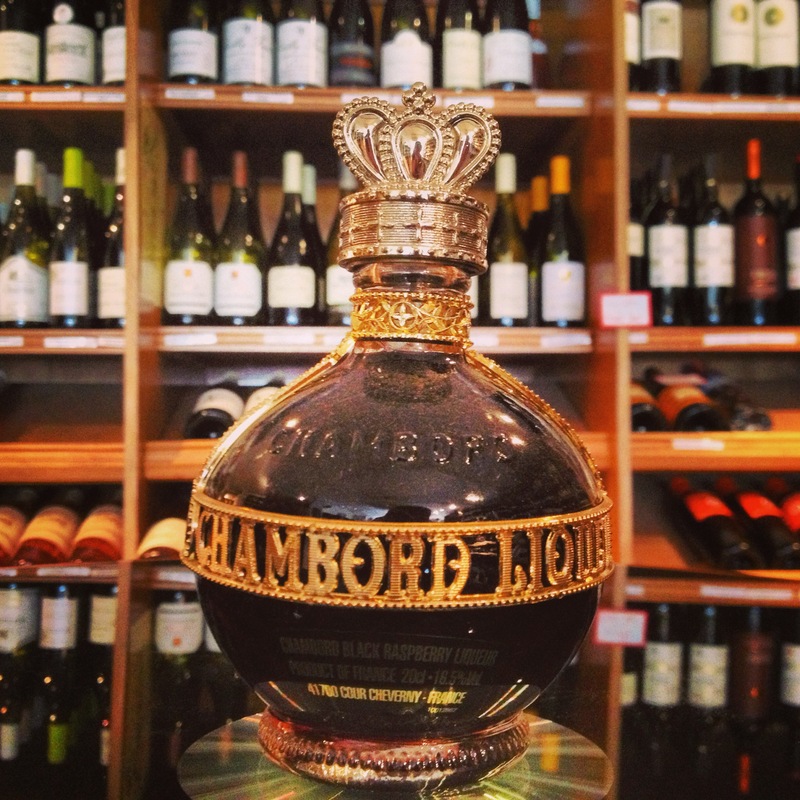 This liqueur is said to have inspired the spirit that today is known as Chambord Liqueur Royale de France. The Loire Valley is the home of Chambord, with the grounds of La Sistiere chateau within Cour Cheveney keeping the name of this premium black raspberry liqueur. A four-week infusion within French neutral spirits starts once the extraction of juices from whole fresh raspberries and blackberries has taken place. A second two-week infusion occurs when a second layer of French spirits washes the fruit. This is to extract additional flavour from the whole fruit blend. After the six weeks of double fruit infusion, the fruit is pressed to capture the natural juices and sugars. The berry infusion is filtered then blended with extracts of all-natural black raspberries, black currant and other raspberry varieties. Additionally, it is married with a blend of French cognac, extracts of Madagascar vanilla and other fragrant herbs. Here, the Master Blender, Stephane Cantin, balances the flavour profile of the fruit infusion to ensure the character of the product is consistent. Very rich on the nose with lots of heavy raspberry and black currant aromas creating a sweet scent. Smooth with a velvet texture on the palate, with a rich, sweet offering of black raspberries and currants bursting at every moment. A little dry on the finish. Shake all ingredients and serve in a coupette glass. 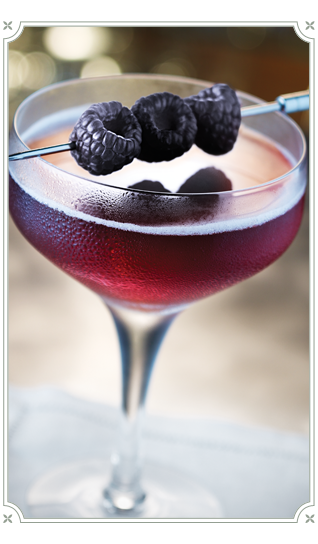 Garnish with any three of brandy soaked blackberries, brandy soaked raspberries or regular blackberries. 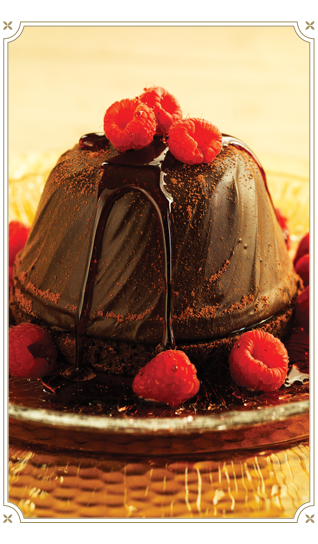 Create an emulsion by pouring hot custard over the melted couverture and Chambord to obtain a smooth and shiny texture. Do not incorporate any air into mixture. As soon as mixture is smooth, add whipped cream. Immediately put in prepared molds and freeze. Cut plastic film to exact size of molds and cover with thin layer of melted chocolate. Place in molds and cover with chocolate sponge cut to the same size as the bottom of the mold. Fill with chocolate mousse up to 1/3. Place in one raspberry, complete filling mold and freeze. Plate and finish with raspberry and sugar hair. Alternate topping – homemade lemon curd. You have to love such a versatile liqueur. Whether it’s based within a classic cocktail, a modern age or within your favourite dessert, there’s no stopping a spirit that has every right to be in your drinks cabinet. Enjoy!